I love running as it means I get to divulge in some highly calorific and delicious yet healthy breakfasts when I get to work! 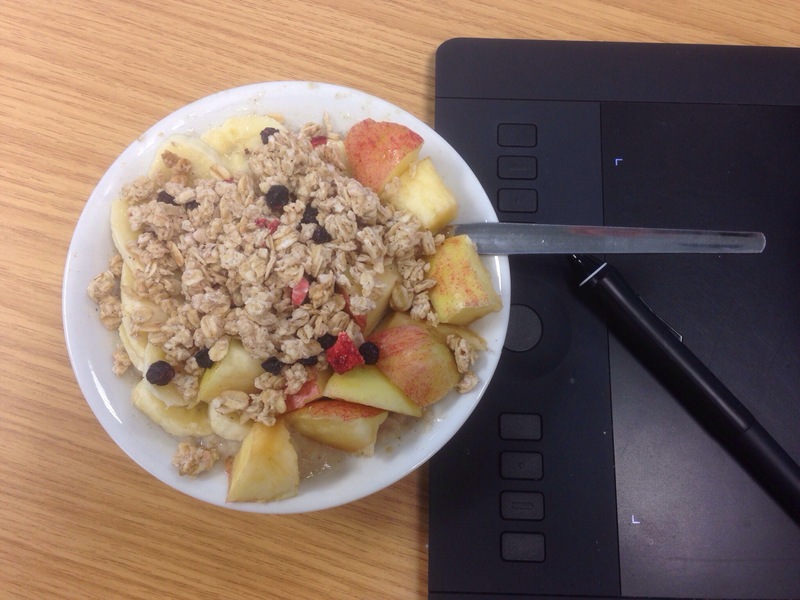 This is the current favourite – porridge, cinnamon, apples, bananas, raisins, sliced almonds and granola! Happiness in a 600kcal bowl, perfect. I’m having some time to rejuvenate my energy this week, so I’ve not been up to much! It’s been lovely and long awaited. 01/04/2014 – Spring into Running!